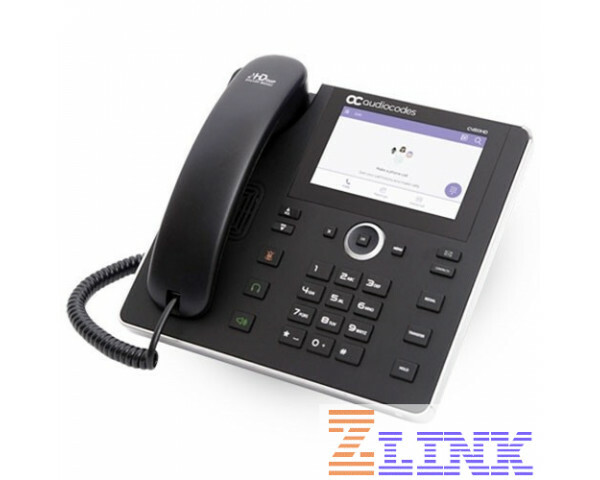 The AudioCodes native Microsoft Teams C450HD IP phone is a feature-rich, executive high-end business phone for the Microsoft Teams and Skype for Business market. The AudioCodes native Microsoft Teams C450HD IP phone contains a large 5” color touch screen, with integrated bluetooth and an optional integrated Wi-Fi! The C450HD is a high-end IP phone for the Microsoft Teams and Skype for Business market. With a sleek touch screen user interface that enables up to 8 programmable keys, the Audiocodes C450HD is the IP phone you need at your desk now!